Colombian singer and composer Nelson Velasquez Diaz is a celebrated producer of traditional vallenato music who has found success both at home and abroad, drawing millions of fans from countries like Venezuela, Ecuador, Mexico, Panama, and the United States. His first solo project, Nelson Velasquez y la Nueva Era, was certified Gold in Mexico and followed by a sold-out show of 20,000 in Monterrey. Diaz’s most famous singles include ‘Vuelve, Vuelve (Come Back, Come Back),’ ‘Te Amo a Morir (I Love You To Death),’ ‘La Falla Fue Tuya (The Fault Was Yours),’ ‘No Queda Nada (Nothing Remains),’ and ‘Casualidad (Chance),’ which has been viewed close to 12 million times on YouTube. 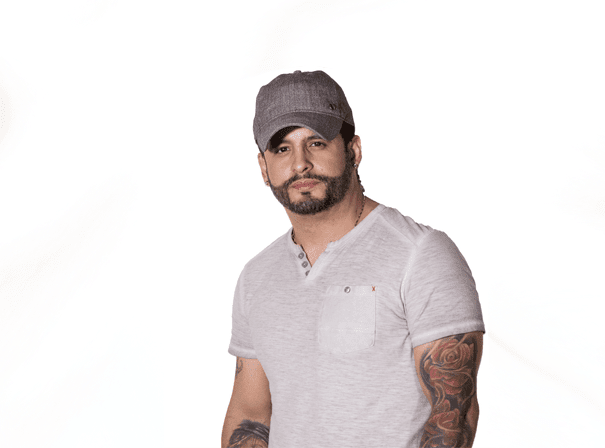 He has released eight albums, his most recent being the 2004 Buenos Tiempos, though his latest single, ‘No Perdono una Traición (I Do Not Forgive A Betrayal),’ was released in 2017. Diaz’s first foray into music was as a member of the group Los Sensacionales, where he met Emerson Plata, with whom he would later collaborate on several projects. He then caught the attention of Omar Geles, the director of Los Diablitos, and was asked to appear as a chorister on three of their songs. The collaboration opened doors for him to work with other greats like El Poder Del Norte and El Binomio de Oro de América. He would eventually create the group Los Inquietos del Vallenato with Plata, before embarking on his sensationally popular solo career. Velasquez continues to record and perform, touring internationally and performing to sold-out crowds. Fans can keep up with his tour dates and new material through his social media channels.